This chapter concludes the book and, in doing so, recognises that the individuals in this study were all relatively successful at rebuilding and re-establishing their lives, with social capital playing a significant role in this. 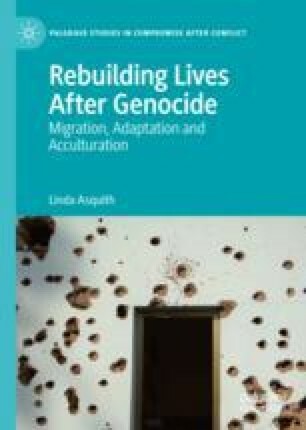 In addition, the concept of social capital aids understanding of the mechanisms of resettlement, by foregrounding the processes by which survivors accessed help and support. The chapter notes that the ways in which survivors used social capital were quite varied, with some using family, others accessing social groups and clubs, and still others accessing formal support organisations. The chapter concludes by making some policy recommendations, particularly focusing on immigration policy and responding to survivor needs. Mason, R., Pidd, H., & Khomani, N. (2016). Asylum Seekers in North-East Claim They Are Identifiable by Red Doors. The Guardian, 20 January 2016 [Online]. Retrieved January 18, 2018, from https://www.theguardian.com/uk-news/2016/jan/20/asylum-seekers-north-east-claim-identifiable-red-doors-houses.